Volvo Car Group said it will take a "significant" minority shareholding in sibling brand Lynk & CO, which will rely heavily on Volvo's vehicle technology and dealer network as it prepares to start European and U.S. sales in 2019. Volvo also will set up a joint venture with its Chinese parent, Zhejiang Geely Holding, to share existing and future technology with other brands in the Geely family. "We want to have a say in the further development of Lynk & CO, especially as this will be a company that will share a lot of technology and components with Volvo," Volvo CEO Hakan Samuelsson told Automotive News Europe. Zhejiang Geely will control 50 percent of Lynk & CO. 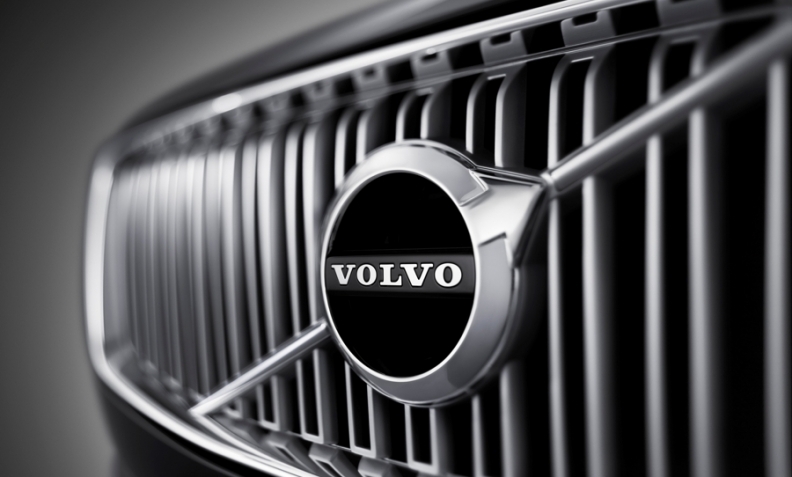 The remaining 50 percent will be divided between the Geely Automobile and Volvo brands. Samuelsson said the actual percentage that each brand will hold still needs to be determined. The transaction still requires regulatory approvals, which are expected in August. Lynk & CO's forthcoming models, which include the 01 crossover and 03 sedan, will be underpinned by the compact modular architecture co-developed by Volvo and Geely Auto. In addition, Lynk & CO is in talks to work with Volvo's European and U.S. dealer networks in the area of aftersales. Last month the brand's boss, Alain Visser, also said it was “technically possible” to build Lynk & CO vehicles at Volvo's factory in Ghent, Belgium, where CMA-based models such as the forthcoming XC40 compact SUV will be produced starting later this year. "We are looking at it," Visser, who is Lynk & CO's senior vice president, told the Automotive News Europe Congress in Barcelona last month when asked about output in Belgium. "It's an option but there is no decision. But we've always made it clear that our manufacturing footprint will be global." Initially, Lynk & CO models will be made in Luqiao, China, which is the same plant Volvo will use to make the XC40 for the local market. Visser also referred to Lynk & CO's models as being premium cars "with Volvo technology." Lynk debuted the 01 last autumn in Berlin and unveiled a design prototype for the 03 at the Shanghai auto show in April. A third model, the 02, likely a coupe-styled crossover, also is in the pipeline. The 01 will go on sale in China in the fourth quarter as a rival to models such as the Nissan Qashqai. Volvo's stake in Lynk & CO was part of a wider announcement on technology sharing within the Zhejiang Geely family. A new 50-50 joint venture technology company is planned to help speed up the brands' development of next-generation solutions for electrified vehicles. Volvo, Geely Auto and Lynk & CO will share vehicle architectures and engine technologies via cross licensing arrangements, according to a memorandum of understanding signed Thursday. This means that Geely and Lynk & CO would gain access to Volvo's scalable product architecture, which underpins the award-winning XC90 large SUV as well as the second-generation of Volvo's global best-seller, the XC60 midsize SUV. The partners will also cooperate more deeply on component sourcing to help reduce procurement costs. Volvo CEO Samuelsson says the planned collaboration will strengthen Volvo's ability to develop next-generation electrified cars. "This will give us unique access to the Chinese supply market," he told ANE. The deal, which also still needs to be approved by regulators, is expected to be extended to include sharing of components such as battery cells, e-motors and charging systems. As part of the agreement, the intellectual property rights for any technology that is shared will remain with the company that developed it, but the technology itself will be available for use by Volvo, Geely Auto and Lynk & CO.